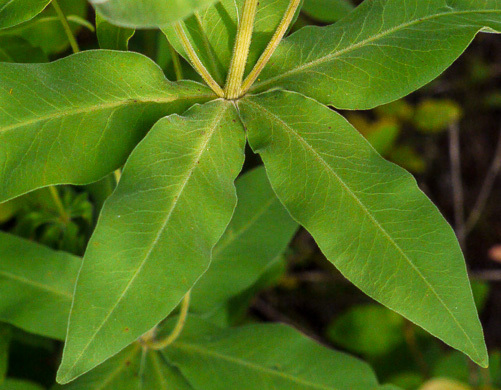 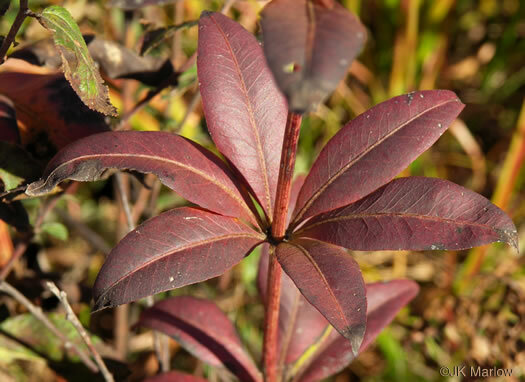 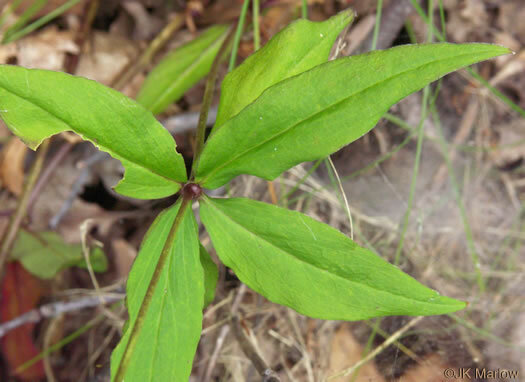 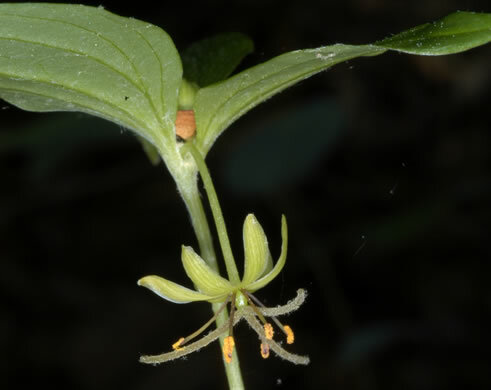 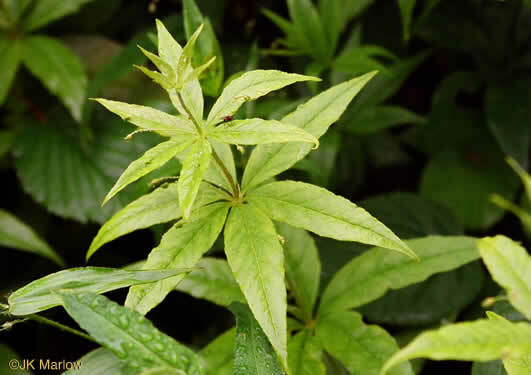 Your search found 17 image(s) of leaves of Indian Cucumberroot, Starry Campion, Whorled Coreopsis and Loosestrife. 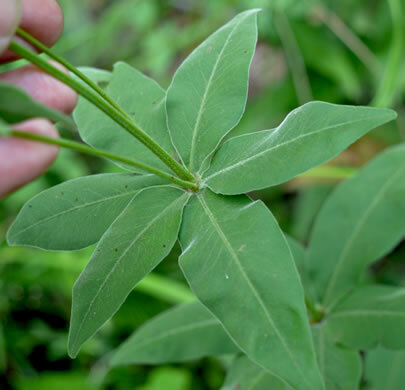 Leaves parallel-veined, per Vascular Flora of the Carolinas. 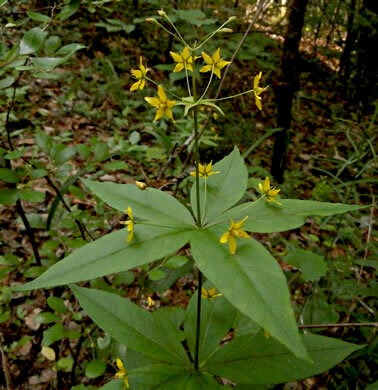 Flowering plants have a second whorl of 3 smaller leaves, per Wildflowers & Plant Communities of the Southern Appalachian Mountains and Piedmont. 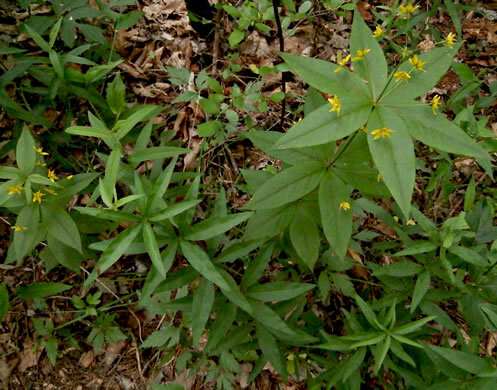 Vegetative plants have a single whorl of 5-11 leaves, per Wildflowers & Plant Communities of the Southern Appalachian Mountains and Piedmont. 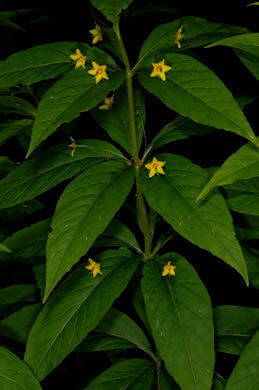 Unusual for this genus, most of its leaves are in whorls of 4, per Wildflowers of the Southern Mountains. 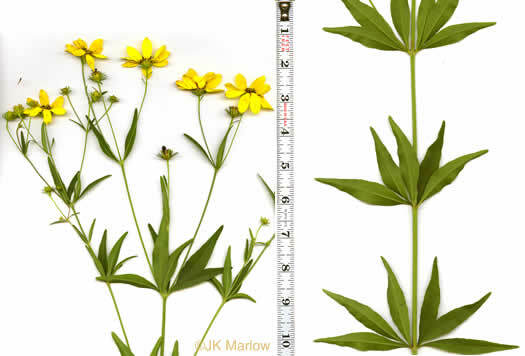 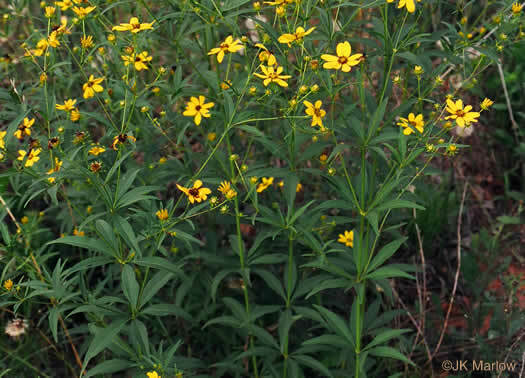 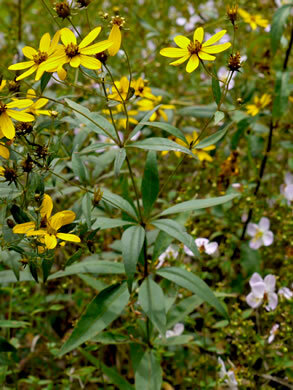 A good opportunity to compare Whorled Coreopsis to Whorled Loosestrife! 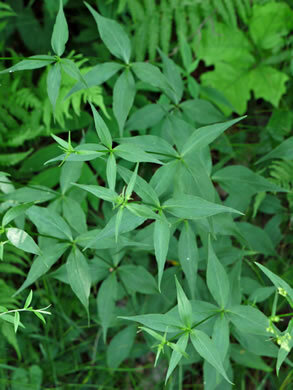 Leaves in whorls of 3-7, usually 4-5, broadly to narrowly lanceolate, per Wildflowers of Tennessee, the Ohio Valley, and the Southern Appalachians. 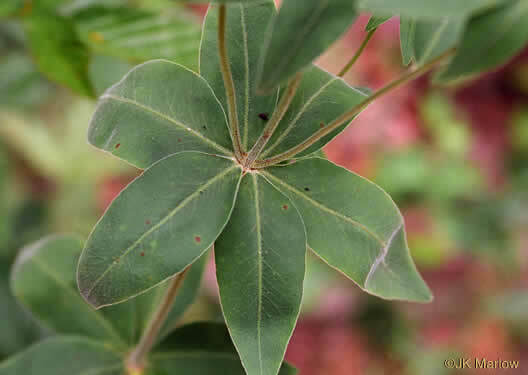 Middle leaflet of median leaves 5-10(12)mm wide [narrower than var. 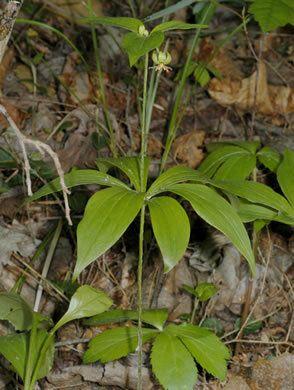 major], per Weakley's Flora. 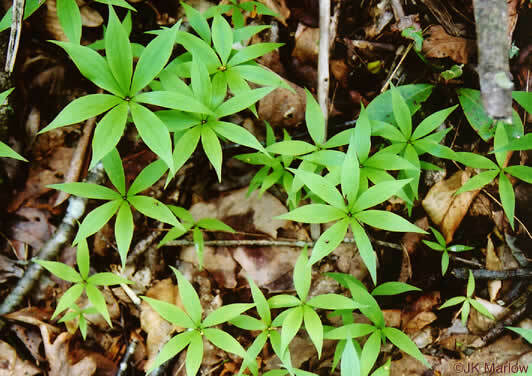 Stems and leaves glabrous, or essentially so, per Vascular Flora of the Carolinas.